Summer is an exciting time for many vendors, as it kicks off the trade show season in cities across the nation. Trade show participation—whether you’re in the restaurant, tech, hospitality industry, or another type of commercial business—requires a significant amount of planning and organization that can lead to an enormous amount of exposure and success for your business. That’s why merchants place so much energy and effort into the logistics and structuring of their exhibitions and displays. Whether you’re traveling across the country with a huge team or just a few counties over to attend a show yourself, there are many details to straighten out before heading off to a trade show event. One of the most important aspects to consider is how to transport your exhibition materials long-distance to the event—and what happens to them once they arrive there. For most vendors, there are two choices when it comes to materials shipping to an event: storing them in an advance warehouse space or having your trade show movers send them directly to the trade show venue. At A-1 Fargo, we’ve helped countless business owners and company managers organize successful trade show exhibitions with advance storage and direct shipping options—and can help you make the best decision for your business’s needs. Take a look at this article to learn more about the benefits and drawbacks of each option, and how both choices can affect your participation in your upcoming trade show event this year. If you’re confident that you’ll be able to organize the logistics of material handling and drayage perfectly—that is, organizing the transport of your items from your moving vehicle to the trade show booth—sending your materials straight to the site makes a whole lot of sense. Doing this will likely result in lower shipping and handling costs versus paying for advanced warehouse storage. However, while shipping your exhibit materials straight to the venue might seem like a simpler and more direct way of handling your items, this isn’t always the case. Expos and trade shows are often extremely busy (and sometimes chaotic) on set-up day, and many companies are pushing to move their items in at the same time. Unless you can coordinate your arrival or the arrival of your trade-booth decorator, the arrival of your items, and your appointed set-up time like clockwork, there could be plenty of confusion to deal with should something go wrong. In fact, shipping items directly to the trade show can often result in significant delays for a number of reasons. If the organization of the trade show event is badly planned or careless about accepting shipments on the day of the event, or should your shipment experience delays in its arrival to the venue, you might find yourself waiting long after your allotted set-up appointment time to properly prepare your booth for a smooth trade show opening. The second option that trade show participants have is to ship their items to advanced storage space days before their set-up appointment. This is often the choice that companies make when preparing for a trade show, as this option allows the business to properly organize their event beforehand. Shipping items beforehand also means that once your assigned set-up time arrives, you’ll be able to coordinate with your moving company to have those items ready to go at the moment you’re able to start your set-up. As long as the company you choose is reliable and professional, this option eliminates the possibility of a late set-up and can mean the difference between a rocky, chaotic experience and a smooth, successful start to your tradeshow appearance. 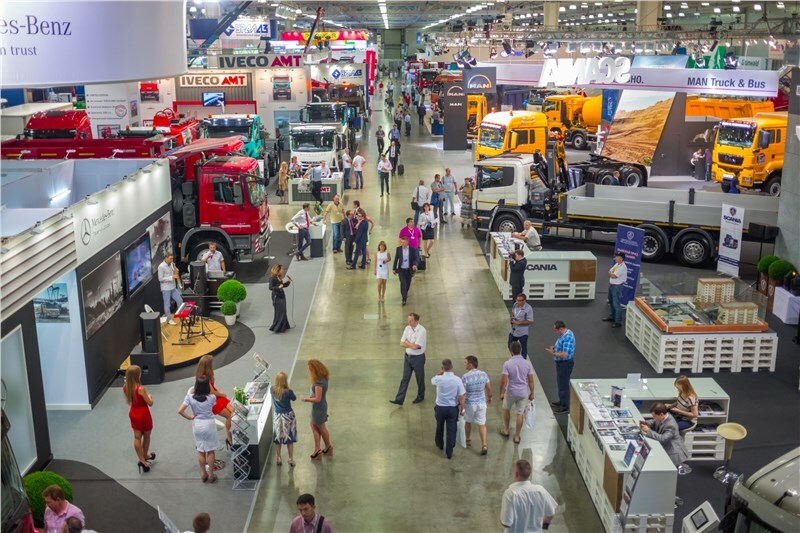 When choosing a moving company to help you organize the logistics for your trade show participation, it’s important to select the most professional and highly rated option you can find. There are many moving companies that advertise their services online or in your local yellow pages, but only the best ones will count with BBB certified accreditation, are bonded and insured, and also offer specialized trade show and material handling and drayage services. Participating in a trade show—whether it’s a national, international, or a local expo—can be an amazing opportunity for your business’s growth and exposure. A-1 Fargo’s team of experienced trade show movers are skilled in executing professional moving services for company tradeshows. We’ll work with you to perfectly pull off your event, whether you decide to move your items directly to the expo site or to utilize advanced warehouse storage before the start of the event. In either case, you can depend on us to move your items on-time and without worry. For more information, give us a call to speak with one of our friendly moving coordinators or fill out our online form to schedule a free, in-home or on-site consultation and pricing estimate with our expert trade show movers.